Khan was briefed on Wednesday in detail on various strategic intelligence and national security matters by senior ISI officials. 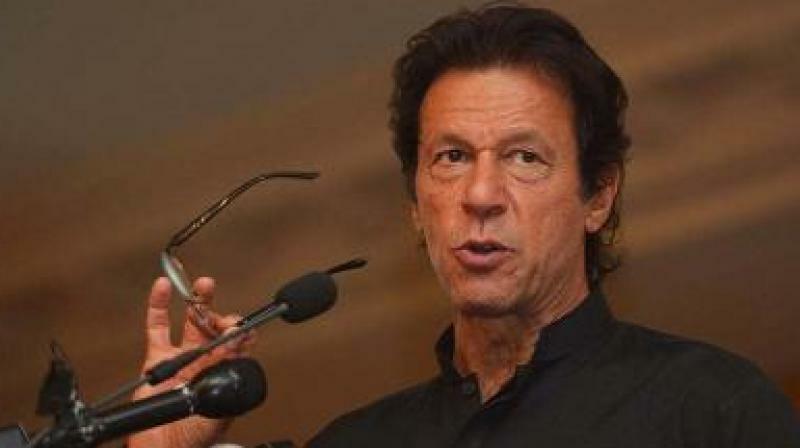 Islamabad: Pakistan Prime Minister Imran Khan has described the ISI as "our first line of defence" as he visited for the first time the headquarters of the powerful spy agency. Khan, along with senior Cabinet ministers, was briefed on Wednesday in detail on the various strategic intelligence and national security matters by the senior officials of the Inter-Services Intelligence, an official statement said. "The Prime Minister lauded contributions of the ISI towards national security, especially in the ongoing counterterrorism effort. The Prime Minister said that the ISI is our first line of defence and stands out as best intelligence agency of the world," the statement issued by the Inter-Services Public Relations (ISPR), the media wing of the military said. Earlier, Army chief Gen Qamar Javed Bajwa and ISI Director General Lt Gen Naveed Mukhtar received Khan on his arrival.